Welcome to the Winter 2018/2019 issue of The Dish. Much has happened since our last issue and I have several exciting stories to share in this issue. First, I want to thank you for continuing to be a supporter and ambassador for BGS. In the last issue, Director of Recruitment and Retention of Diversity Scholars Dr. Arnaldo Diaz Vazquez—a Puerto Rico native and first-generation college student—shared the ways that BGS is expanding opportunities for underrepresented minorities (URM). Diversifying our student body is essential to our mission to recruit and train the next generation of leaders in the biomedical sciences. As part of this endeavor, we have spent the last several years evaluating our use of the GREs in our admissions process. Our analysis has indicated that GRE scores do not predict success in our graduate programs and therefore may bias the admissions process against some applicants. This conclusion is consistent with a growing body of literature regarding the failure of GREs to predict success in biomedical sciences. Consequently, as of July 2018, we neither require nor accept GRE scores. We are among a growing number of Universities who have removed GREs from their admissions criteria, a list of which can be found at this link. By removing this component of our application, we hope to attract students from a broader range of backgrounds, including those with a diversity of work and life experiences, interests, culture, socioeconomic status, race and/or ethnicity, sexual orientation, and disability. We will continue to evaluate applicants holistically, as has been our practice, by focusing on each applicant’s research experiences, personal statement, resume/CV, transcripts, and letters of recommendation. Congratulations to Toshinori Hoshi, PhD, Professor of Physiology, and James Petersson, PhD, Associate Professor of Chemistry, who received the Jane M. Glick Graduate Student Teaching Award. This was created in 1993 as the Dean’s Award for Excellence in Graduate Student Teaching, and renamed in 2009 following the death of the beloved Jane Glick, PhD, an outstanding scientist and mentor. Eight students received the Saul Winegrad Award for Outstanding Dissertation, which recognizes students whose dissertations have made a significant contribution to biomedical science. It was created in 1995 to honor BGS’s first Director, Saul Winegrad, MD, Emeritus Professor of Physiology, and is presented annually to a student in each BGS graduate group. Professor of Neuroscience Amita Sehgal, PhD, is the inaugural recipient of the Michael P. Nusbaum Graduate Student Mentoring Award, established in 2017 to honor former BGS Director Mikey Nusbaum. The award commends scientists who, like Dr. Nusbaum, embody the skills, experience, and wisdom essential to success in science and play a pivotal role in guiding students in reaching their scholarly potential. As I’ve mentioned before, I was so lucky to have had wonderful mentors during my graduate school years, and I firmly believe that behind every great scientist lies a team of invaluable mentors. Mentors and advisors can greatly influence the trajectory of a researcher’s career, introducing a new field or idea, providing meaningful inspiration, and steering them toward their life’s work. That’s why this year we’re focusing on nurturing these important relationships—how to identify the best mentor-mentee matches, facilitate non-thesis advisor mentoring, support peer mentoring, and provide frameworks to maintain these ties that often last a lifetime. As you know, student-mentor relationships that begin in graduate school often evolve as the student moves onto the next phases of their career. Of course, mentorship is a two-way street. Students bring new ideas and unmistakable energy to the lab—contributions that often lead to important questions and new discoveries. The student’s creativity and interest make profound contributions to the lab’s work—and often alter the course of projects over time. On this front, it is noteworthy that BGS students played key roles in two Penn discoveries that have grown into the largest biomedical therapeutic breakthroughs of the last decade: Dr. Jean Bennett’s blindness gene therapy and Dr. Carl June’s cancer immunotherapy. Another case in point is Ishmail Abdus-Saboor, PhD, a notable alumnus whom we feature in this issue. 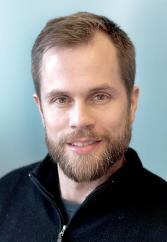 Luckily for us, he has chosen to stay at Penn and was recently appointed Assistant Professor of Biology. You’ll read about his life as a scientist, including the experiments he conducted in his parents’ house, his thoughts on mentoring the up-and-coming researchers in his own lab, and the contributions he’s making to the URM community. And speaking of up-and-coming scientists, even more BGS students will be pursuing their highest interests under the tutelage of a senior researcher with the creation of the Blavatnik Family Fellowship in Biomedical Research, about which you’ll read. I am very grateful to the Blavatnik Family Foundation for their generous gift and partnership—and the crucial boost it gives to the careers of our talented trainees. Partners like the Blavatnik Family ensure that our program stays at the fore of biomedical education. And so does the support of our strong and dedicated group of BGS alumni. I invite you to join your fellow alumni and consider making a gift. If you’re so inclined, I am also interested in hearing your thoughts on BGS endeavors, the future direction of the program, or story ideas for this newsletter. Please feel free to contact me at jordank@upenn.edu. In the meantime, I hope you enjoy this issue of The Dish. Penn’s Biomedical Graduate Studies Program has received a $2 million gift from the Blavatnik Family Foundation — the largest financial aid commitment in the program’s history — which will help transform the education and training of the next generation of scientific leaders. Headed by industrialist and philanthropist Len Blavatnik, the Blavatnik Family Foundation has a strong record of supporting talented young scientists at premier institutions around the globe. The gift will establish the Blavatnik Family Fellowship, which will be competitively awarded to six Penn BGS students for each of the next four academic years. The Fellowship ensures support for students during their work with their mentors, a pivotal relationship in their scientific journey. The inaugural class, which is proudly highlighted below, was chosen in July 2018 from many BGS nominees. By 2021, the Fellowship will have impacted 24 students by providing a crucial boost at the very moment our talented trainees are launching as independent investigators. 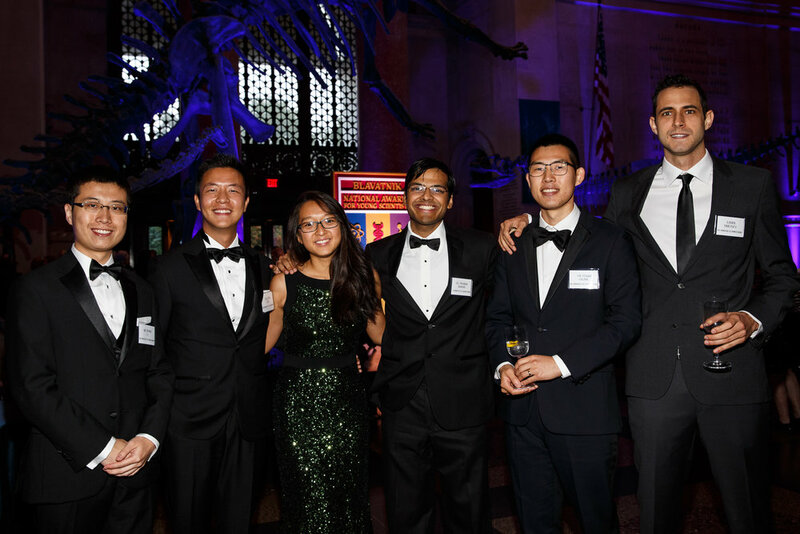 The inaugural Blavatnik Family Fellows attended the 2018 Blavatnik National Awards for Young Scientists, a ceremony and gala dinner hosted by the Blavatnik Family Foundation in September. 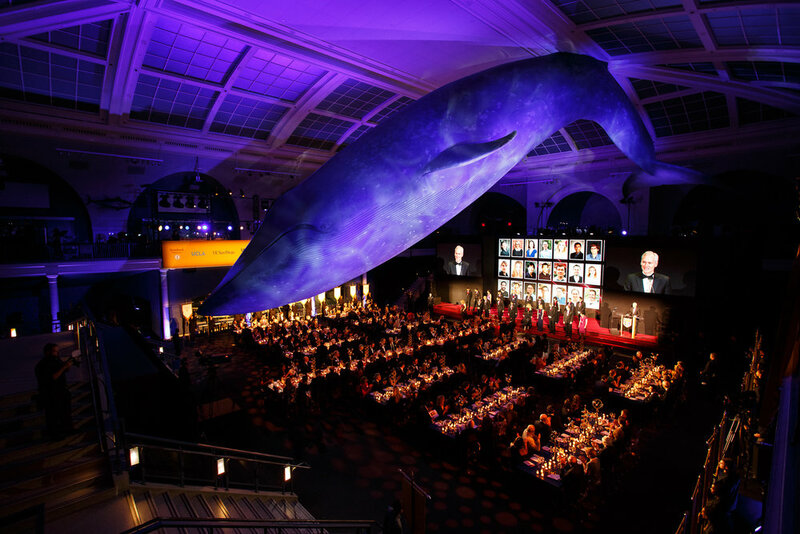 BGS Director Kelly Jordan-Sciutto, PhD, joined them at the event, which took place at the American Museum of Natural History in New York City and was emceed by Stanford University President Marc Tessier-Lavigne, PhD. Divyansh is spearheading projects in single-cell biology, particularly as it relates to ocular and endocrine diseases. The retina is vital for normal vision, and when it becomes diseased or damaged, the unfortunate result is blindness. Currently, there is no definitive cure for common retinal diseases. Broadly, Divyansh’s research examines two fundamental questions about retinal physiology that are yet unanswered, with the eventual goal of curing blindness. He aspires to use his clinical training to define therapeutic and diagnostic challenges relevant for patients, and his PhD training will allow him to design and conduct experiments that might resolve patient’s challenges. Edward works in the Shorter lab, where he is conducting leading-edge research on protein disaggregation in neurodegenerative disease. The overall goal of this project is to first identify cellular chaperones that regulate protein aggregation, and then leverage them to prevent and reverse the protein aggregation seen in neurodegenerative diseases. Edward also enjoys teaching, and his long-term goal is to establish his own laboratory that is equally focused on mentoring the next generation of young scientists and advancing the frontiers of science and medicine. China native Jinyang works in the Stanger lab, where he studies the mechanisms that make most pancreatic tumors resistant to immunotherapies. He is currently exploring additional mechanisms in order to identify more targets that could improve a tumor’s sensitivity to immunotherapies, and extend the benefit of immunotherapy to more patients. Jinyang, who has mentored many students, expects to graduate in 2020 and will continue his training as a postdoc in the US. Ultimately, he plans to start his own lab and continue to study tumor biology. Kamen’s research focuses on better understanding how cancer metastasizes, including both the paths cancer cells take to spread across the body and the molecular adaptations that allow cells to traverse these paths. To address these points, Kamen has engineered a novel biological barcoding system that forces cells to record a written history of their cell divisions into their DNA. Importantly, while the current project focuses on colorectal cancer, Kamen’s barcoding approach is readily applicable, without modification, to the study of any cancer. More broadly, Kamen’s method enables tracing of any cell lineage, and is poised to revolutionize how scientists probe integral questions in development, stem cell biology, and regenerative medicine. Cedric’s work is devoted to translational brain research, specifically on using machine learning techniques to uncover complex biological mechanisms that underlie psychopathology. Cedric starts with complex imaging and genetic data, and uses machine learning to identify how specific network-level abnormalities predict different patterns of psychiatric symptoms. While psychiatry today continues to rely on patient report and physician observations, advances in treatment require biologically-grounded diagnostics. By leveraging the power of machine learning, big data, network science, brain imaging, and genomics, Cedric’s multi-disciplinary approach promises to provide a novel understanding of major mental illnesses, as well as accelerate the rise of precision medicine in psychiatry. Linda’s research focuses on the mechanisms underlying trinucleotide repeat (TNR) expansion disorders, particularly Fragile X Syndrome (FXS). She has recently discovered that nearly all of the genes that cause TNR disorders are folded into the same type of 3D structure. Based on this information, Linda intends to investigate the mechanisms driving DNA misfolding in FXS, create tools to engineer DNA folding to reverse gene expression defects, and determine whether 3D genome misfolding contributes to other TNR disorders, like Huntington’s disease and ALS. Her work may uncover a fundamentally new mechanism — the 3D misfolding of DNA — as a key driver of some TNR disorders and shed new light on how to engineer the 3D genome to reverse defects that lead to human disease. 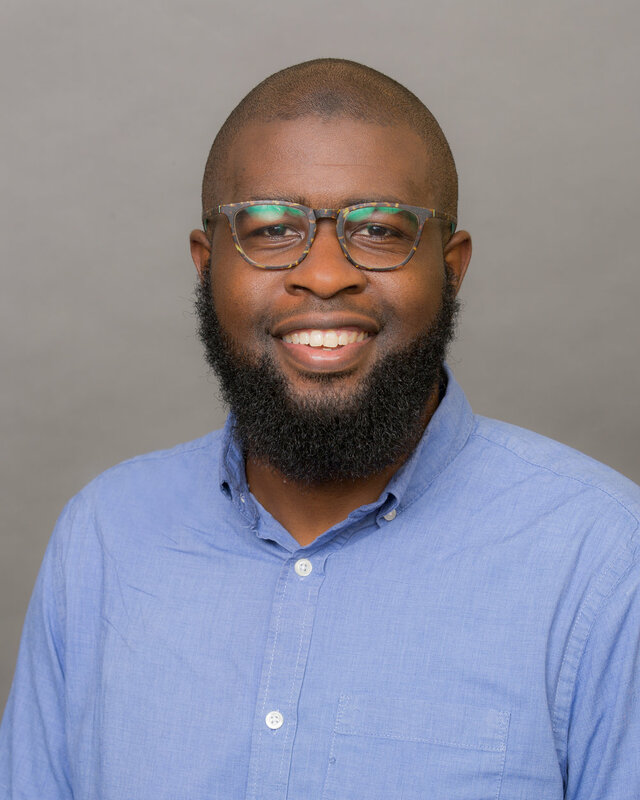 Born and raised in the Germantown section of Philadelphia, Ishmail Abdus-Saboor’s love of science was sparked by field trips with his third-grade teacher. Today, this talented alumnus with a PhD in Cell and Molecular Biology — and newly appointed Mitchell J. and Margo Krody Blutt Presidential Assistant Professor of Biology — talks about heading up his own Penn lab, nurturing a new generation of researchers, and helping minority students thrive in the science world. Do you remember when you first became interested in science? When did you first consider it as a career? I remember always being really interested in science. My third grade teacher used to take us to marshes and creeks and allowed us to interact and engage with nature — those sorts of things fascinated me. So I spent a lot of time outdoors, looking for garden snakes and things like that. At that stage I didn’t know what a career in science would look like. It wasn’t until high school and college that specific career paths became more solidified. When I went to Central High School, I had an experience as a 14 year old that set my science career in motion. We got the chance to do a year-long project as part of a freshman Honors Biology class, so I took over the third floor of my parents’ house to do experiments on regeneration rates of crayfish. There were hundreds of them everywhere. My parents were supportive, even with the fishy smell permeating the house. I had a fabulous time, and got to present my work at a city-wide science fair, where I won first place. I went on to compete at the state level at Penn State. I’ve been hooked ever since. Tell us about your experience in the Summer Undergraduate Internship Program (SUIP), which is tailored toward getting under-represented minorities access to research-intensive universities. How did this program influence your interest in pursuing a doctoral degree? SUIP was a great program for me. I went to a historically black college — North Carolina A&T University — which has a really good animal science/pre-vet program. As an undergrad, I thought I might be a veterinarian, but it was because of SUIP and having my first exposure of working in the wet lab here at Penn Medicine that got me to switch gears. I had a wonderful time using mouse models to investigate how heart cells function. Also, I realized that even though Penn is a world-class place, the people are very kind, friendly, and collaborative. I knew that summer that I wanted to come back here for a PhD. What was your Penn Biomedical Graduate Studies (BGS) experience like? What made it special? BGS was great — some of my closest friends today were BGS classmates. One thing I love about Penn and BGS is they’re very interactive, which makes you feel like you’re part of a bigger community. You collaborate with people in all different programs, so I grew a big network of friends and co-scientists. Also, some of my closest mentors to this day — people on my thesis committee, in the Department of Genetics, in the BGS office — all were part of a strong network of people who wanted to see me to do really, really well. The mentorship and support that I’ve consistently received here is part of why I can’t seem to leave this institution and wanted to start a faculty career here. That being said, all grad students have tough periods when experiments aren’t working and things aren’t going well. At times like these, I’d question whether I wanted to do other things with my life, but I always kept coming back to academia. In any science career, it’s tough: in a five-and-a-half to six-year process, most experiments fail and it’s a lot of failure and rejection. So those times aren’t fun. Your involvement with the Earnest E. Just Biomedical Society began when you were a student and continues today. Can you talk about its significance? I am a mentor to a number of PhD students in the E.E. Just Society, which was started by URM graduate students to recruit and retain URM students. We just hosted a program in October jointly with Penn Biology and the Diversity Council of the Biomedical Postdoc Program to connect URM undergraduate and graduate students with postdoctoral mentors. The Society was a really important part of my Penn experience when I was a PhD student and postdoc. Often when you arrive here as a minority, you may not see a lot of people who look like you, and E.E. Just provides a support system of people who you can relate to and look up to. URM students tend to leave biology at greater rates than other students, and one reason is because they don’t have the role models. E.E. Just connects URM undergrads with URM PhDs, postdocs, and faculty, giving them a network of scientists who they can reach out to for support. What impact did your mentor, Associate Professor of Genetics Dr. Meera Sundaram, have on your education? What impact did she have on your choice for next steps? Meera is still a phenomenal mentor. We met just a few weeks ago — I think it’ll be a lifelong relationship. When I joined her lab, there were already three other PhD students there, so I knew she valued interacting with students. Her door was always open. I would just be in and out of her office. I could even tell her about minor results or just things I was thinking about. We would chat and frequently interact, and I’m trying to do that in my own lab: keeping my door open, putting a lot of time and energy and care into nurturing the people I work with. Meera guided me in preparing to deliver presentations; she had us do practice talks with her and our colleagues. She helped me think about where to do a postdoc and what to work on. She encouraged and believed in me. Students sometimes struggle; even if we have some success, sometimes we doubt ourselves. She always instilled in me that I had what it takes to get to this level. From writing recommendation letters to introducing me to people, she was super supportive every step of the way. What kind of postdoctoral opportunities did you have before moving to your current position? What drew you to these opportunities? I did two post doc fellowships, switching gears both times — which has been a theme of my career. First, I worked in Qatar for two years at Weill Cornell Medical College with Dr. Benjamin Shykind, studying gene expression in olfactory neurons to learn about the molecular logic of smell. It was a phenomenal experience, but I knew it would be easier to get a faculty position with a postdoc in the States. So I did a second postdoc in the Penn Neuroscience Department with Associate Professor Dr. Wenqin Luo. Again, I switched gears, from olfactory sensory biology to pain, studying a whole new system I knew very little about. I have never taken a neuroscience class in my life. In the Luo lab, we studied somatic sensation — touch, pain, and itch — and I was able to develop some new optogenetic and advanced videography techniques in that lab, some of which we’re now using in my lab. Can you talk about your current research and where you see it going in the long term? I’m a molecular neurobiologist. Our broad aim is to figure out how our nervous system works, and how it responds to sensory stimuli so we can mount an appropriate response. In part, we’re interested in touch, pain, and itch; these are sensations that are felt on our skin and ultimately trafficked to our brain. How is it that we are able to do that so precisely? For example, if you blindfold someone and apply heat or cold or a soft feather or a sharp needle, they can tell you immediately how it feels even if they can’t see it or haven’t had any expectations of it. That’s because we have neurons that feed it back to our brain, and how that works is still unclear. We’re trying to figure that out in both normal cases and in patients who are in a disease state, like chronic pain. We use mice as a model system. Molecular biology, genetics, and animal behavior: all these things that I’ve had experience working with are now coming together in this work. How large is your lab? We just started in July and already have nine people. Our lab has two PhD students, two postdoc fellows, two research technicians who are recent college grads, and three Penn undergrads. It’s a nice mix of skill sets and experience levels. As a young alumnus, what connects you to BGS today? As a faculty member with BGS students in my lab, we talk a lot about my experience when I was in their shoes. I think they can trust and understand what I’m saying because 10 years ago, I was where they are. It makes for a strong connection. Also, Dr. Kelly Jordan-Sciutto is a friend and mentor. When I was considering this faculty position, she was one of the people I met with on a regular basis, providing support and mentorship. And one of my most influential mentors has been [previous BGS Program Director] Dr. Mikey Nusbaum. During my postdoc I probably met with him weekly and we’d talk science and career advice. The mentorship award is named after him for a reason! I love Mikey and getting to be around him on a regular basis is a major draw for me at Penn. This time of year, we are all reflecting with gratitude upon the experiences that have brought us to our lives and careers today. As part of this reflection, we ask you to make a gift to the BGS Fellowship Fund to ensure the best parts of your experience as a BGS student are available to future generations of young scientists. The BGS Fellowship Fund provides vital support of our trainees as they navigate their graduate education. With the help of your gift, BGS continues to ensure students are growing and thriving as scientists, both in the classroom and in their mentor labs. Every dollar makes an impact on the lives and experiences of BGS students today and in the future. Thank you for your partnership in advancing the next generation of scientists. Tuesday, December 11 @ 4:00 – 5:00 p.m.
Thursday, December 20, 2018 @ 4:30 p.m.